Unique carriage house has been updated & freshly painted to make a lovely single family hm. Lg kit w/eating area, good size living rm, 2 bedrooms in upper level w/full bath. 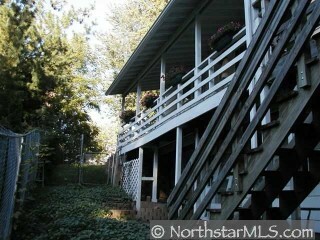 Marvelous deck, perfect for entertaining, overlook private fenced yard. Must see!